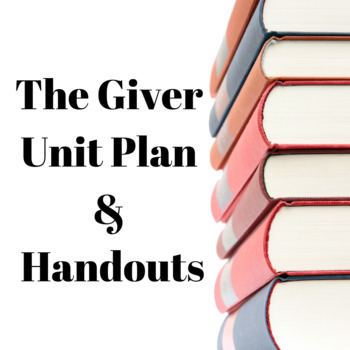 Twelve specific and Common-Core aligned lesson plans geared directly for teaching The Giver by Lois Lowry. 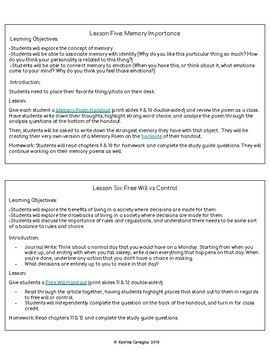 Each lesson includes learning objectives, lesson plans, and any necessary handouts & Prezis needed to implement the lesson! 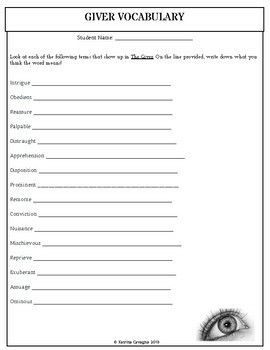 Just print out the handout, and get started!